This time I was using the DSP as the background and doing this means I really don’t need to do too much to the card. I cut off a strip of DSP and flipped it over to give some contrast. I then just stamped the image onto the punched out circle and layered it all up and its then done. 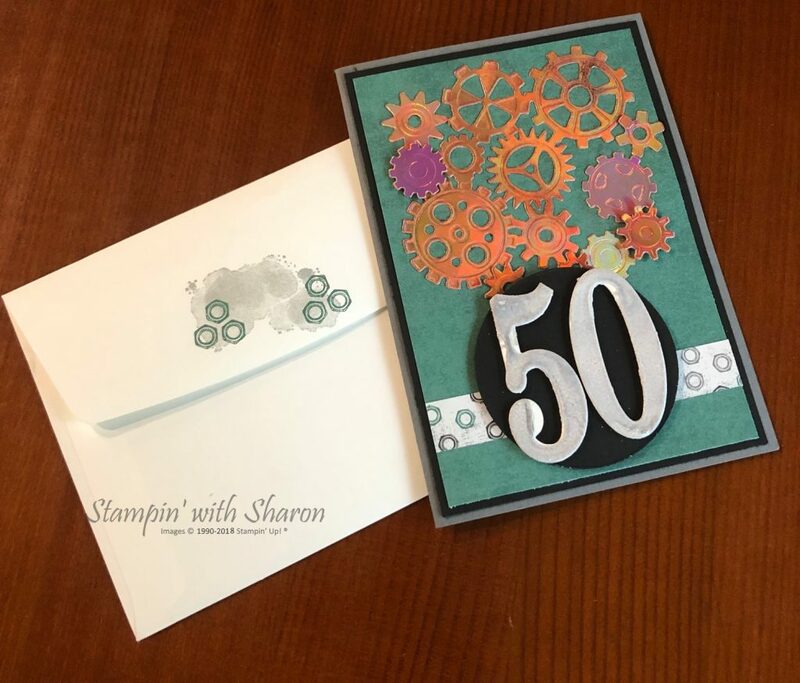 This is another card that my campers will be making at my Papercrafters Retreat. 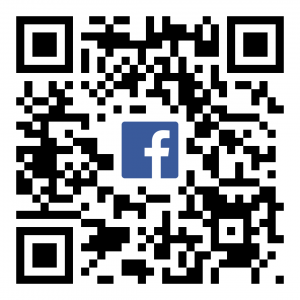 The registration has closed but you could order the “Retreat in a Box”. In the box you will receive all the make and takes, pillow gifts, a goodie bag, and two stamp sets and a voucher to spend with me all shipped to your door. The cost is $195. You can contact me to order yours today. I will be closing the order period off on 20th April and will be posting them out during the week of the 8th May. There is a very limited number of these available to order to don’t miss out and order yours today. My brother turned 50 this month and we had a family dinner celebrating. 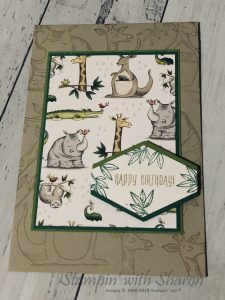 With a big Birthday like this I wanted to make a special birthday card for him. 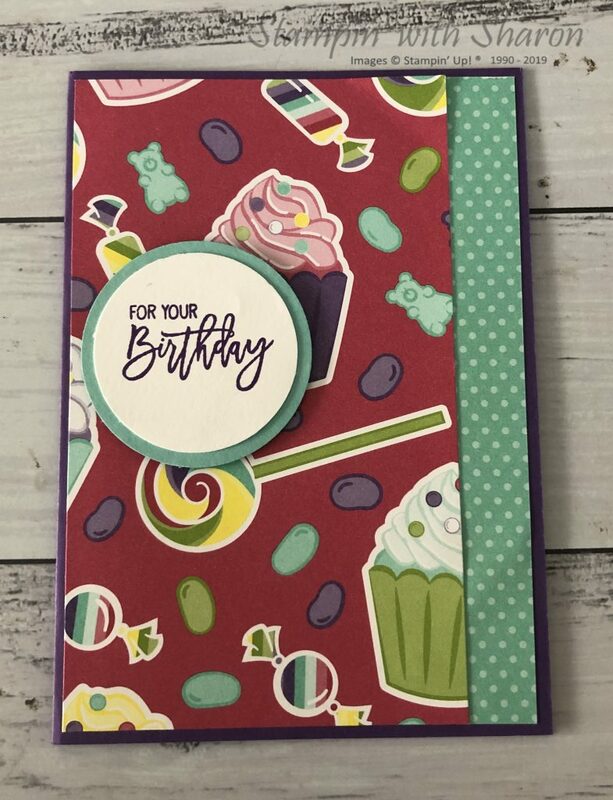 So I pulled out some of the new products that are being released in the new Occasions Catalogue and made this card. I used Basic Gray as my card base and then layered Basic Black on top and some new Designer Series Paper on top. This paper is the new Classic Garage paper stack. I used the retired Large Numbers Framelits and embossed them to add some extra detail. I used the foil sheets for the numbers as well and with the heat from the heat tool it melted some of the foil and that’s how you get the look of the white and smoky slate. 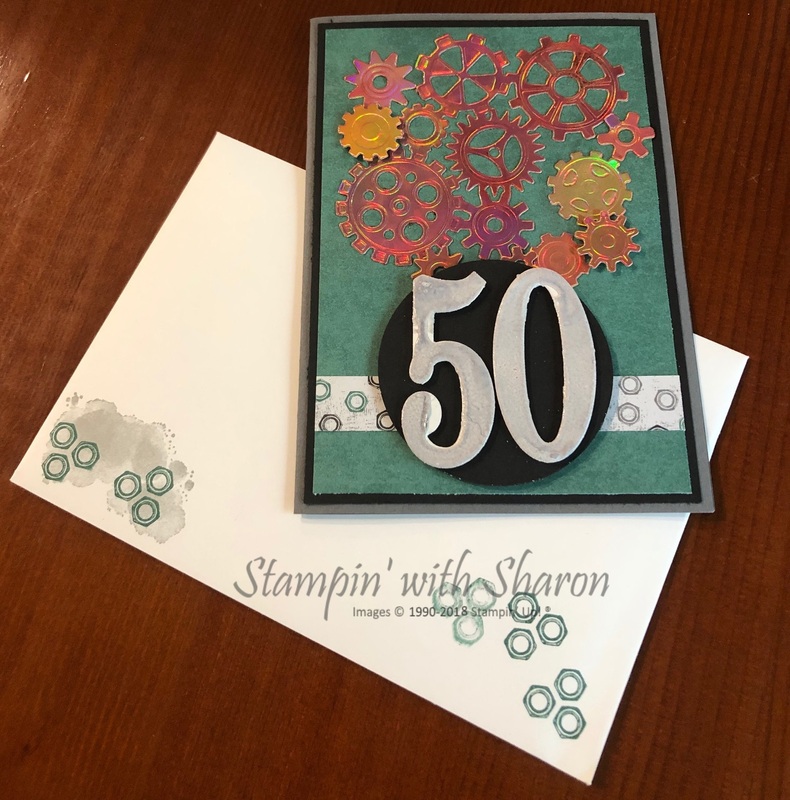 The cogs were all cut out using the Garage Gears Thinlits Dies and I have used the Grapefruit Grove Foil Sheets from the Sale-a-bration catalogue. You can earn this foil for FREE with an order of $90 from January 3rd, 2019. 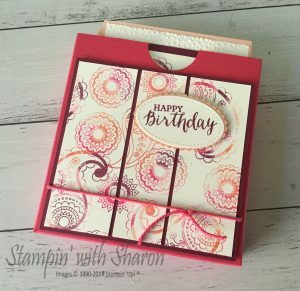 I stamped on the envelope to match it in with the card and I added an insert in the card to write on and stamped some images on the insert as well. 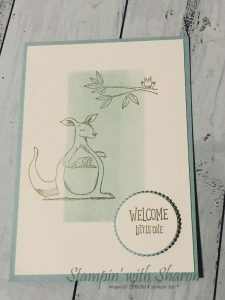 I really love how the card turned out and my brother liked the card too. 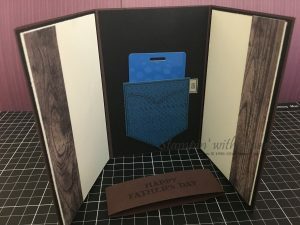 His wife makes cards and so he understands that a bit of time would have gone into making this card for him. If you like any of the products I’ve used just click on the link below of the product you like and it will take you to my online shop where you can find all of these products and more. There are so many highlights but I can’t share them all with you. I can say that there is something very exciting coming very soon. Check back again on Friday this week. On Saturday I had the opportunity to attend OnStage on the Gold Coast with one of my downlines and other team members including my fabulous upline. We were given the new Occasions Catalogue and upcoming Sale-a-bration Catalogue. They both commence on 3rd January 2018. There are some fabulous new suites for birthdays, valentines day, weddings, Easter and more. 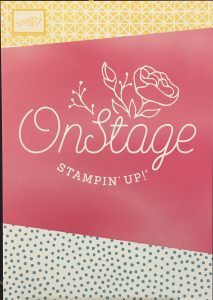 Our Stampin’ Blends are in the new Occasions catalogue as well. So there is something for everyone. 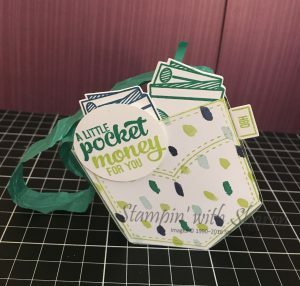 You can check out all the products, when they are released, on my Stampin’ Up Website. 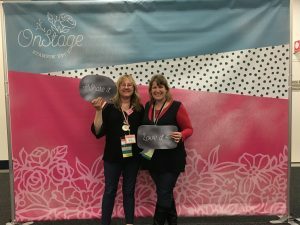 Posted in Birthday, CentreStage, New Products, Occasions Catalogue, OnStage, ProCRAFTinators, Stampin, Stampin' Blends, Stampin' Up, Team Members	| Tagged Centrestage, New catalogue, Occasions Catalogue, Onstage, Sale-a-bration, Stampin' Up! 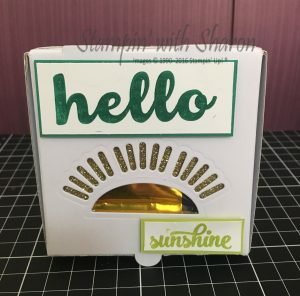 Continuing on from my last post I wanted to share some more projects that I’ve made to present at Stamp Camp using the Pocketful of Sunshine Bundle. 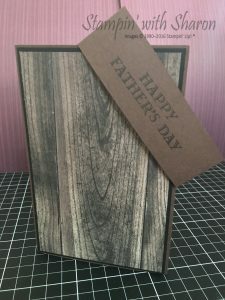 This next project is a gift card holder for Fathers Day. I made a belly band to hold it closed. It is fairly simple. 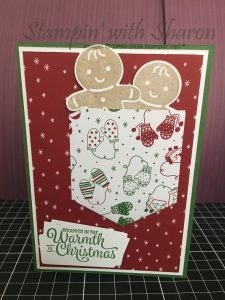 This next project is a christmas card that I made while at Stamp Camp using the pocket framelit. The sentiment is stamped onto the money shape that is in the framelits dies. I thought it was a cute way of using it. This next project is using the pocket die and I used a 1″ strip of DSP to make it into a pocket and used ribbon as the handle. This next project is using the new mini pizza boxes and I used the sun shape to cut out the window with the sun rays. 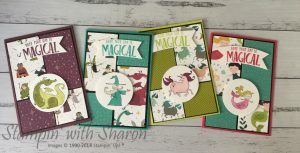 All of these projects are fairly easy to recreate and if you’d like to make them yourself then get yourself the Pocketful of Sunshine Bundle and get creating.